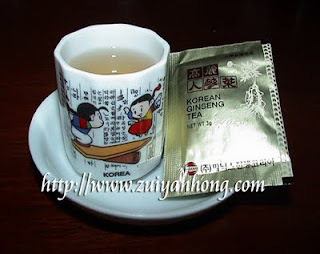 To make the ginseng tea for drinking is as simple as 123. Just add 50 ml of warm or hot water to a packet of ginseng particles. The taste of the drink is a little bitter. You can add more water or a little sugar if you don't like the bitter taste. If you prefer to add honey to the ginseng tea then go ahead.